do what it takes till you touch the sky.. If you can dream it…you can do it! We are there for you throughout the recruitment process by ensuring your future in the best possible way. We create together a standout CV which will help you in the job market. Getting prepared for your interview is very important for its outcome. We see together the dos and don’ts for a successful interview. We keep a strong foothold in the job market with high success rates! We care about the future of our students to the maximum extent, as proved by our success. A big thank you to AST mainly for the one year of happiness that they gave me. I felt what it means to be in a school that above is family. My instructors gave me the knowledge to be able to work professionally but also to evolve as a person. Since I can remember myself I have always loved airplanes… from the first I saw a flight attendant I knew that this job would be my goal and my dream…from the first time I came to AST I understood that I was going to make it. Having as guidance three remarkable people I made my dream come true… I am ready to open my wings and acquire a piece of the sky…Thank you for everything! From a classroom in Athens I was landed in the most major airports of the world. My passport was the knowledge I got from AST and my weapons for this success was all the experiences that was shared with us by our instructors and of course the support I had even after the end of my studies. A big thank you to the management and the teaching staff of AST for this great gift .. an amazing and worthy team! Just a thank you is not enough to the instructors and the management of AST who gave us their knowledge, time and love for the profession. This profession demands love and a little bit of craziness they said and they were right. Even now that I work, AST’s staff is always next to me. AST was one of the best choices I ever made. Just a thank you is so small to describe the knowledge I gained and the love and support that I received. I wish you continue to do what you know so well because its not only the knowledge but also the support and courage you give as. AST helped me to understand what it is that I want to do ! !The right guidance from my instructors gave me the knowledge and proper training to be working today in what I like !! Thank you very much. I work as a First Class Cabin Crew member on one of the largest airlines of the world and AST is responsible for my achievements! Every day that I go to work I think of the words my instructors said to me and as well as the support you have given me from graduation until the time of my hiring! A.S.T. is always next to me and I will always be grateful for the life you have given me. I wish every success to each and every new student of AST- See you up there! My graduation marked the beginning of a successful career that it still continues after 12 years in the aviation industry. After graduating from AST, I worked for the biggest Greek airline and now I work for one of the most reputable airlines in the world. I feel lucky to have been a student of AST, not only for the knowledge that I received but also for the wonderful instructors I met, who, through the difficult times our country, gave me the motivation to pursuit a profession with unique privileges . The assistance and support of the AST was priceless and above all selfless. Now I work in one of the best and fast growing airlines of Europe. Thanks from my heart! Is it necessary to attend a Cabin Crew course in order to become a Cabin Crew? Attending a Cabin Crew Course is not necessary in order to become a Cabin Crew. However our 47 years of experience will help you not only to be preferred and distinguished by airlines, but also to find that your further training in an airline will be much easier and more comprehensible after having already acquired so much knowledge with us. What are the prerequisites in order to attend the Cabin Crew Course? What is the difference between the Cabin Crew Attestation and other Cabin Crew Certificates? According to the European Legislation the only certificate that ensures you your employment as Cabin Crew for a European carrier is the Cabin Crew Attestation. This certificate covers the requirements of the EASA (European Aviation Safety Agency). A.S.T. 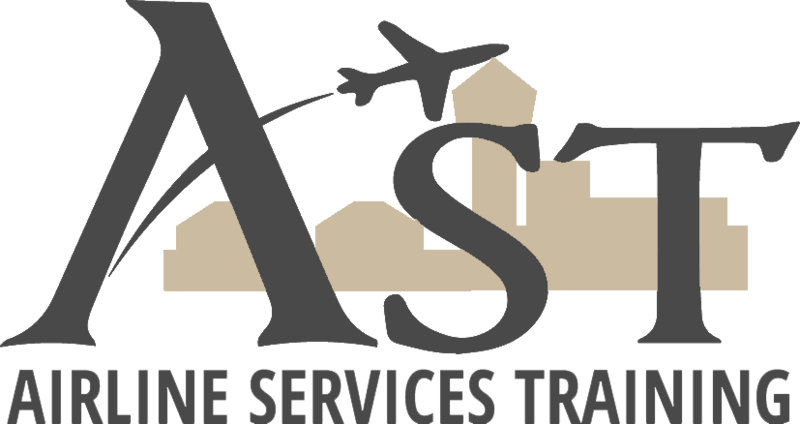 – Airline Services Training was founded in 1970 and it’s the only educational institution dedicated to the training of individuals not only of those who wish to work in the aviation and tourism industry but also executives of airlines and travel agencies.